If you have been unlucky enough to have suffered a carbon monoxide related incident then you have come to the right place. At the carbon monoxide network websites we have enough experience to point you in the right direction be it medical or legal. We have two decades of experience with countless hundreds of victims we've heard all of the stories before and we will be able to help you. You may well have seen videos of Rob Aiers on this or other sites on the Internet, Rob is in a world expert on the subject but unlike other people has a broad knowledge, not just legal, just medical or just a mechanical. Rob has helped many victims and has spoken to hundreds of People over the years who have suffered themselves or have a family member or friend suffer in a carbon monoxide related incident. It is sad that often Rob reports that victims calling him and then saying but he is the only person who is fully understood what they're going through. It is a very specialist area and most medics or lawyers do not know about the complexity of a carbon monoxide related incident. What are the medical effects of Carbon Monoxide? In some cases a victim may have been poisoned over a long period of time without first knowing that there was an incident. The victim will slowly become ill and not really understand why. The doctor may also not understand what is causing their maladies, as many medics do not understand or have any knowledge of low-level carbon monoxide poisoning. Low levels over a long period of time are in some cases more dangerous than a catastrophic high-level over a short period of time. Victims will slowly become lethargic and ill suffering from symptoms like a stomach upset low-level flu type bug or confusion often this cannot be explained by medics and as no reading will have been done at this stage at their property or place of work then carbon monoxide is not considered as a source of the issue. It is often found by an external person such as a gas engineer during a routine check or somebody else suffering in the same house or apartment. Then and only then is it considered to be a problem and by this stage it is far too late as the victim may suffer irreparable damage from long term low level exposure. In this event - when no more medical intervention can take place - we have no resort than to seek legal recompense through our specialist lawyers. Carbon monoxide cases are very complex cases to try, however provided the evidence is there ,we have received awards for our clients that may well go on to support the victims for the rest of their lives. We know the evidence that is needed in order to support a case against somebody whose negligence has left a victim in a position where they cannot function or work properly again. We also have a partner lawyers all over the US a who are used to taking these cases through the court system. Together with the lawyer's experience, is also a high requirement for us to engage with the best medical practitioners in their field throughout the USA. These can range from hyperbaric through neurological and toxicological experts. The lawyer will explain how these costs are covered in order to get a successful prosecution to has ever negligence has caused your injury. We continue to work with the victim throughout all proceedings to ensure that the victim gets the award that they deserve. In order to be properly treated once a person has been poisoned then that person must receive oxygen immediately or in the worst case hyperbaric treatment. Doctors may not be aware of this when a victim reports to the ER, this can result in on going issues and symptoms as after a poisoning event. The other issue that we have found is at the scene of an event ,it is vitally important to check the levels of carbon monoxide in parts per million. This can be done by the fire department and gas company or a heating engineer but is often missed. The next step is for the victim to be tested for carbon monoxide in their blood, this test is called a carboxy haemoglobin test. Following a test carboxyheamoglobin levels are presented in percentages, This can range from one or 2% in a normal person up to 40% for somebody who is either near death or who has died. It is vitally important on many levels whether the gas is measured at the site or the carboxyheamoglobin levels are measured within the patient in order that we know exactly what we are dealing with. Only then can the correct treatment to be given and the patient be removed from suffering long term effects sometimes for the rest of their lives. 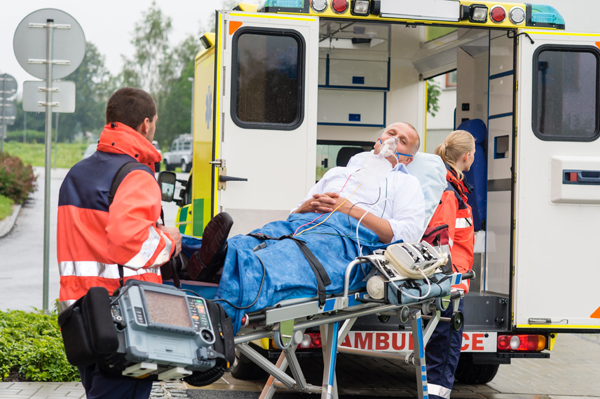 It is also worth noting that if a patient reports to the ER or their doctor with suspected carbon monoxide poisoning it is absolutely vital that they are checked for carboxyheamoglobin levels very early. If these levels are not checked within an hour from being poisoned a false result is often obtained, if the subject has presented some hours after then the result may may well have dropped back to a normal level, however the damage has been done. This is the worst case scenario and as in this event someone may be given a false negative only to go back to the place they were being poisoned in the first place. 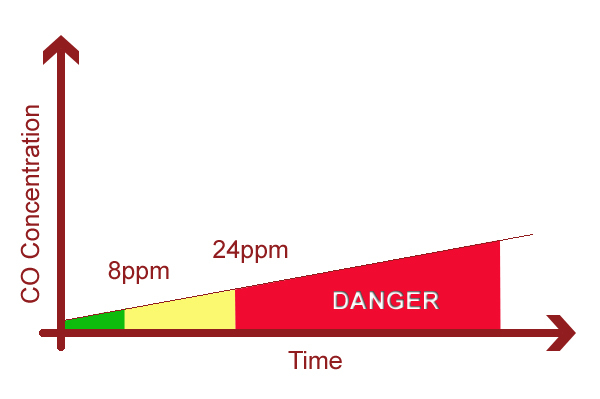 The same may apply to somebody who is given oxygen at the scene and is subsequently tested for carbon monoxide, the oxygen will purge any carbon monoxide from the body whilst this is a good thing the reading of carboxy Haemoglobin cannot be accurately obtained, in this instance or we would have to go on is the fire department or gas company reading of parts per million at the site.